Spotlight on the 2018 edition of Cosmoprof Worldwide Bologna, the international B2B leading event for the cosmetic industry. After the celebration in 2017 of its 50 th anniversary, the format – with the spin-offs of Cosmoprof Asia in Hong Kong and Cosmoprof North America in Las Vegas – confirms its growth in the world, thanks to the support of the Italian Ministry of Economic Development and of ITA – Italian Trade Agency, and to the collaboration with Cosmetica Italia – Personal Care Association. For 2018 Cosmoprof Worldwide Bologna aims at facilitating networking and business opportunities for companies, retailers and professionals visiting the show, creating a tailor made fair to meet the specific needs of each sector, both under the perspective of exhibitors and attendees. Opening days will be different according to the specific area of the exhibition: from Thursday 15 to Sunday 18 March doors will open for all specialists in retail, Perfumery and Cosmetics, Green and Natural, and for the international pavilions gathering companies interested to these sectors, in conjunction with Cosmopack; the halls dedicated to beauty professionals – Hair, Nail, Beauty Salon & Spa – with their country pavilions will open from Friday 16 to Monday 19 March. Cosmopack, the exhibition held in conjunction with Cosmoprof Worldwide Bologna and dedicated to the beauty supply chain, is scheduled in Bologna from Thursday 15 to Sunday 18 March, 2018. Visiting Cosmopack helps understanding the evolution of cosmetic business in the world: trends, novelties, smart manufacturing, raw materials, formulation and packaging design are the ingredients of this unique format. The synergy with specific exhibition areas of Cosmoprof Worldwide Bologna – from Cosmoprime and premium, mass-tige and prestige perfumery, to the companies exhibiting in the halls dedicated to Perfume and Cosmetics, Green and Natural and Country Pavilions – increases the opportunities available to professionals of the cosmetic industry to develop new projects. curated by Centedegrés , international design agency, will have the technical support of a selection of companies exhibiting in Cosmopack. A specific area for buyers, distributors and companies interested in retail and perfumery: this is COSMO | Perfumery & Cosmetics. From Thursday 15 to Sunday 18 March open doors for companies specialized in Cosmetics and Toiletries, Green and Natural, as well as for those country pavilions with companies focusing on the retail channel. Only selected business profiles will be admitted to Cosmoprime, the ideal stage for new trends in mass-tige perfumery. Inside the hall, the Extraordinary Gallery, a high-standard showcase for prestigious companies with the highest quality products, is the expression of the best in research and innovation. In addition, two new projects dedicated to mass-tige and prestige companies with a green vocation will enrich the show floor for the Natural and Organic sector. Cosmoprof Worldwide Bologna offers a tailor-made proposal for professional operators working in beauty centers, wellness and spa and hairdressing salons. Opening from Friday 16th to Monday 19th March, COSMO|Hair & Nail & Beauty Salon is dedicated to finished product companies for hair, nail and beauty salons, with exhibitors specialized in aesthetic equipment, accessories and furnishings, and country pavilions with companies interested in the sector. To enrich the exhibition offer, specific initiatives will present the latest products and trends, live shows and demonstrations to provide operators in Bologna with a unique opportunity for professional updating and networking: focus on the best hairstylists, the new massage techniques offered by industry experts and the most pectacular nail arts. To help exhibitors making the most of their participation to the show, top buyers from the industry’s most strategic markets will be invited to participate in the International Buyer Program, a consolidated tool of all the events of the Cosmoprof network. Thanks to an innovative match-making software, beauty companies on the one hand and buyers and distributors on the other will be able to identify the most suitable interlocutors for their needs, facilitating the development of new business relationships. industry magazines and international retailers. Market analysis and peculiarities for each segment will be the focus of CosmoForum, with conferences developed according to specific themes for each sector. On Sunday 18 and Monday 19 March the educational program will focus on the live demonstrations and workshops of Cosmoprof OnStage, dedicated to the world of make-up artists, beauticians and nail artists. 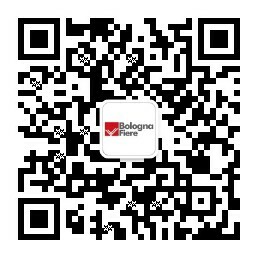 Cosmoprof Worldwide Bologna is the most important hub in the world for trends and innovation in the beauty sector. To reward the most innovative products, Cosmoprof Awards will involve companies from all sectors of the beauty industry on the show floor, from specialists in raw materials and formulation, to the leaders for packaging and OEM segment, from machinery to finished product. Cosmopack Awards, evolution of “The Cosmopack Wall”, is aimed at further enhancing the most innovative projects and products for the cosmetic supply chain, rewarding excellence in formulation and packaging. Cosmoprof Awards celebrates creativity and performing marketing strategies among exhibitors of finished product for all the sectors of the exhibition. Both initiatives are organized in partnership with Beautystreams , international trend agency.